I love hand work: embroidery, knitting, crocheting, hand sewing binding to quilts... It is relaxing and the final products make beautiful gifts. 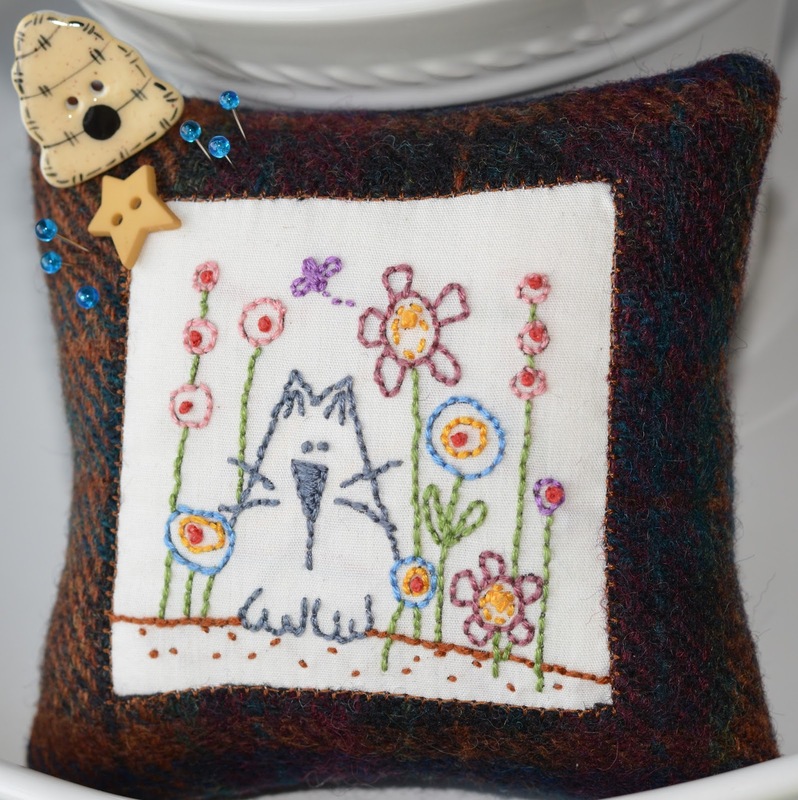 I made the pincushion above for a blog hop (click here to read about it). 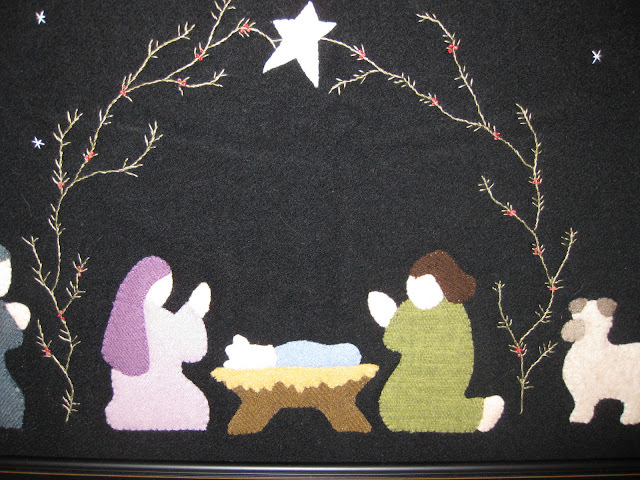 This is an embroidery project I made for Christmas a few winters ago (click here for details). My mind wanders as I take each stitch, the textures of the project make me feel good, and the colors cheer me up. I have another passion: reading. I read many books per year (my long time followers may remember I used to have a page where I reviewed the fiction or nonfiction books I read). I usually read right before I go to bed. Lately, though, I've been going to bed very tired and can barely get through a few pages of my favorite book. Phew! You can see I have an eclectic taste, and once I find an author I like I will read most or all of his/her books. I took advantage of a promotion Audible had where I could get two books for free (Click on the ad at the end of this page if interested), and the rest is history. I like that we get credit for books we purchase, and can later use these credits to purchase others. This week I will show you hand work I am doing and have planned to do, which means I need more audio books! Yes, this has been a throwback to the days when this blog featured book recommendations in addition to crafts. So, if you are looking for your next read, check out reviews on them to choose your next one. In the meantime, don't forget to enter the Rock Solid giveaway (see the previous post)! That cat pincushion is so cute! I enjoy embroidery also. So calming.